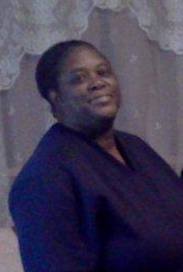 Ms. Toreatha Hayes Mitchell of Greenwood, FL went home to be with the Lord on Friday, April 12, 2019 at her home. Precious memories will forever remain with her daughter, Martini Hayes; her mother: Hattie Mae Hayes of Greenwood, Florida; sisters: Malisa Clark (Venson) of Greer, South Carolina and Deana Richardson (Paul) of Jacksonville, Florida; aunts: Mary Hall of Saint Petersburg, Florida, Nancy Johnson of Fayetteville, North Carolina and Reola Williams of Two Egg, Florida; sister-In-Law; Louise Crawford, brother-In-Law; Charles Mitchell, Mother-In-Law; Martha Washington, nieces: Rita Jones of Tallahassee, Florida, Daisy Hayes of Huntsville, Alabama and Malia Richardson of Jacksonville, Florida; great nephews: Xaiden Hayes, Xander Hayes and Xakyai Hayes all of Huntsville, Alabama, Morgan Jones and Kerwin Jones, Jr., both of Tallahassee, Florida; a host of other sorrowing relatives and friends. There's still time to send flowers to the Visitation at the M. Sue & Rodney D. Pittman Memorial Chapel from 3:00 PM to 6:00 PM on April 19, 2019.